Food alone doesn't cause acne -- or prevent it. Your genes, lifestyle, and what you eat all play a role in the condition. But some foods may make it worse, while others help your skin stay healthy. Scientists need to do more research to know how specific foods really affect the condition. But they have looked at a few possible triggers so far. The more milk you drink, the more likely you are to have acne -- especially if it's skim milk. Scientists are still trying to figure out why, but it could be the hormones that cows make when they are pregnant, which wind up in their milk. People who have higher levels of those hormones in their blood tend to have more acne. 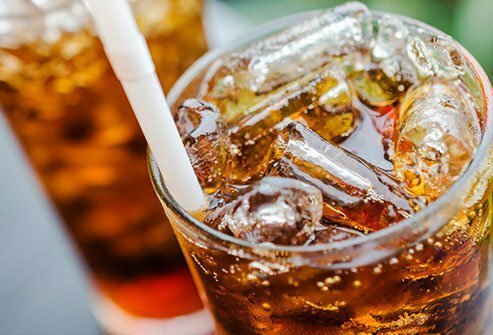 You're more likely to have acne if your diet is full of foods and drinks like soda, white bread, white rice, and cake. The sugar and carbohydrates in these foods tend to get into your blood really quickly. That means they are high on the glycemic index, a measure of how foods affect blood sugar. When your body makes more insulin to bring down blood sugar, it affects other hormones that can boost oil production in your skin. A few small studies show that people who eat more chocolate are more likely to get pimples. But it's not clear why. The key ingredient, cocoa, doesn't seem to be the reason. 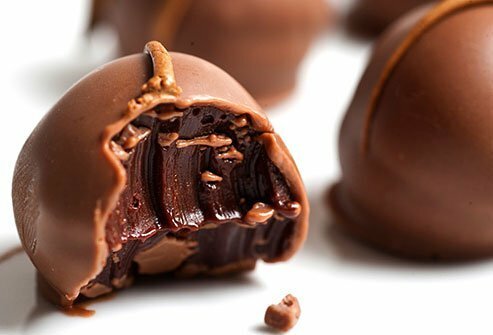 In one study, people who ate chocolate with 10 times more cocoa were no more likely to get pimples than those who ate the regular kind. Dark chocolate, with less sugar and milk, may be a better choice if you're trying to control your acne. People who eat a lot of fiber may see their acne improve. But doctors don't know the exact reason. They do know that high-fiber diets can help control blood sugar, which is better for keeping acne away. 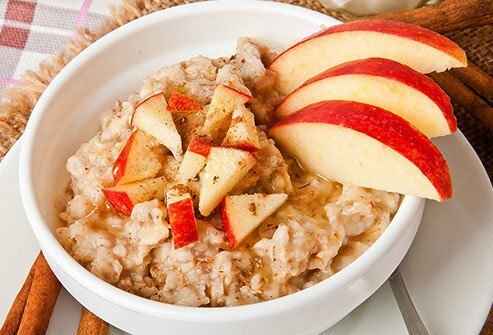 Oatmeal, beans, apples, and carrots are easy ways to add a bit of fiber to your diet. 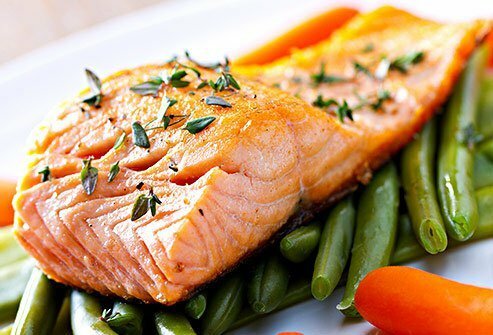 This fish is full of omega-3 fatty acids. They lower inflammation in your body, and that may help keep acne away. They also help lower the amount of a protein your body makes, called IGF-1, that is linked to acne. 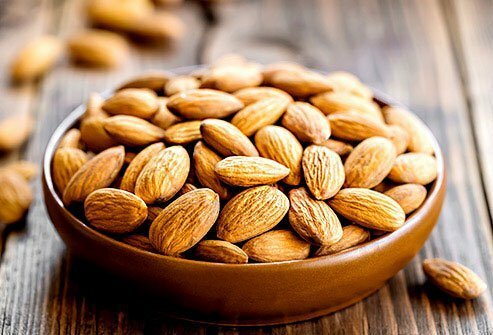 People with acne often have low levels of antioxidants like vitamin E and selenium, which almonds, peanuts, and Brazil nuts have a lot of. These nutrients protect cells from damage and infections. There's no clear proof that antioxidants will clear up acne, but they are good for your body in other ways. So there's no harm in adding them to your diet. Just don't overdo it: about 24 almonds or three or four Brazil nuts is all you need. 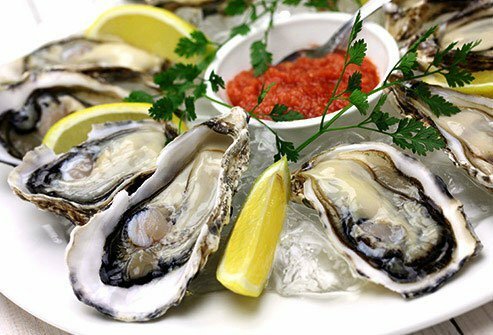 They've got lots of zinc, a nutrient that's important for your skin. Among other things, it may help kill bacteria that cause certain kinds of acne. It also appears to help the body stop making chemicals that can cause inflammation -- something else that's linked to acne. Too much zinc can cause health problems, though. Adults shouldn't get more than 40 milligrams a day. Whether you eat it in a sushi roll, in a salad, or on its own as a salty snack, it's a great source of iodine, which your thyroid gland needs to work properly. But too much iodine at once can make you break out. Most adults need 150 micrograms a day, though pregnant and breastfeeding women need more. If you eat a balanced diet, it's hard to get too much. 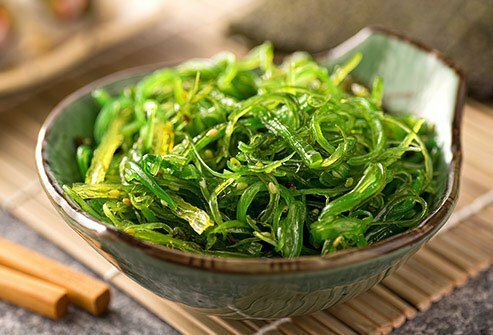 Along with seaweed, you can get iodine from foods like fish, dairy products, and iodized salt. 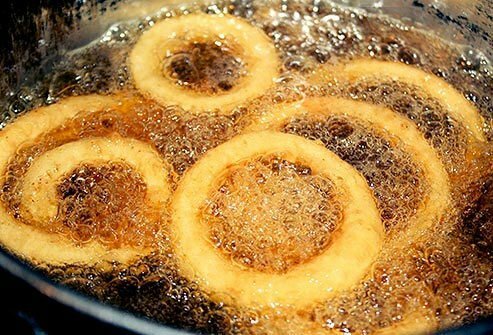 It's a common myth, but eating greasy foods won't cause acne or make it worse. If you spend a lot of time cooking it, though, you may notice more trouble with your skin. That's because the oil from a deep fryer or other source can stick to and clog your hair follicles. 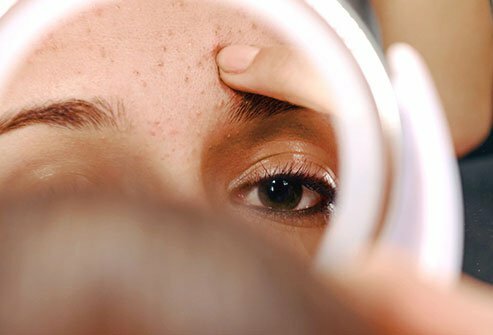 It's often easy to manage your acne at home, but some cases are more serious. If you don't see a difference with careful skin care, changes in diet, and over-the-counter treatments, you should talk with your doctor. She may refer you to a dermatologist. Early treatment can help your confidence and prevent scarring.